These earrings can be as it clips on demand, they measure about 3 cm in length excluding the hook, each earring is composed of two rings of 2.5 cm in diameter, with eye chips tiger. Strengthens bones and joints, keeps the stress and thus prevents stomach problems. It reflects the negative energies to its transmitter. It filled with warmth and security. Pair of earrings in chips of Peridot. 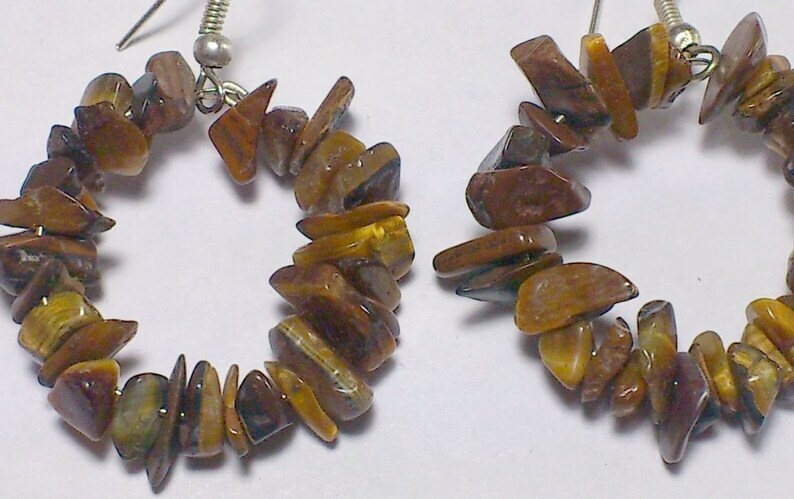 Chain anklet with tiger eye chips.